Who Will Win The Match Today of KXIP vs RR 32nd Match Indian Premier League 2019? Can Rajasthan Royals win their second match? Kings XI Punjab is all set to take on Rajasthan Royals on Tuesday, April 16, 2019, Punjab Cricket Association IS Bindra Stadium, Mohali. Read the complete story on who will win today? Kings XI Punjab has played eight matches won four and lost four matches. They are in the fifth position of the points table with eight points in their pocket. They have lost their last two matches back to back. They have lost their last match against RCB by eight wickets. Prior to that, they have lost against MI by three-wicket and won against SRH by six wickets. Lokesh Rahul, Chris Gayle, Mayank Agarwal, Sarfaraz Khan and David Miller are the top scorers of Kings XI team. They have scored 335, 322, 199, 180 and 131 runs. Mohammed Shami, Ravichandran Ashwin and Sam Curran are the top wicket-takers. They have taken 10, 9 and 7 wickets. 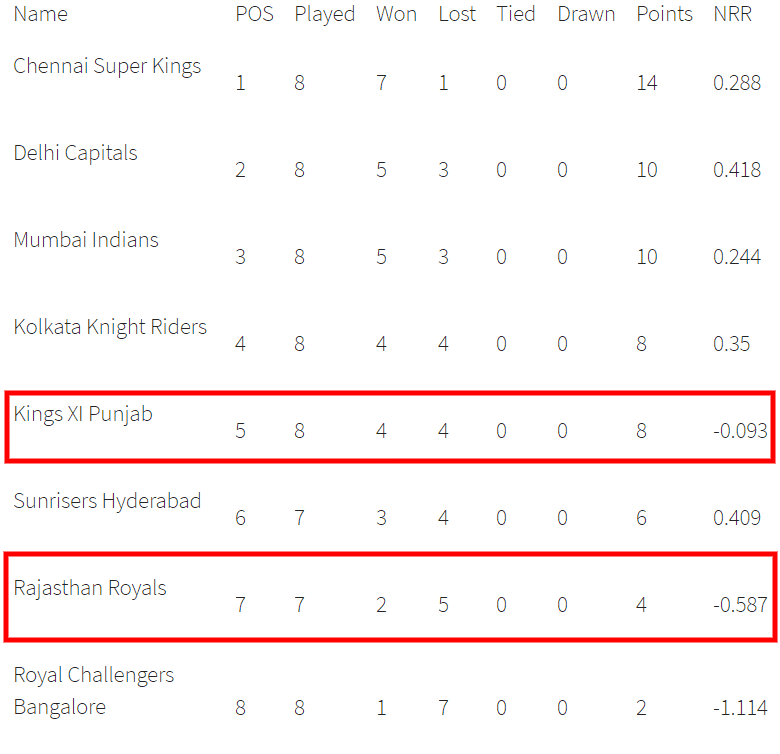 On the other hand, Rajasthan Royals had a poor start this season of Indian Premier League. They won only two matches out of seven matches and lost five games. They are in the seventh position of the points table with four points in their pocket. Jos Buttler, Steven Smith, Sanju Samson and Ajinkya Rahane are the top scorers of Royals team. They have scored 288, 186, 177 and 175 runs. Shreyas Gopal, Jofra Archer and Dhawal Kulkarni are the top wicket-takers. They have taken 8, 7 and 4 wickets. Lokesh Rahul, Chris Gayle, Mayank Agarwal, Sarfaraz Khan, David Miller, Mohammed Shami, Ravichandran Ashwin and Sam Curran are the key players of Kings XI Punjab Team. Ravichandran Ashwin will lead the KXIP team. David Miller may replace Nicholas Pooran in the playing 11 and Hardus Viljoen may play in place of Andrew Tye. KL Rahul, Chris Gayle and Mayank Agarwal will lead the batting department. Hardus Viljoen, Mohammed Shami and M Ashwin will lead the bowling department. Lokesh Rahul and Chris Gayle are the most valuable players of the Punjab team. Batsmen: Mayank Agarwal, Chris Gayle, Sarfaraz Khan, Mandeep Singh, David Miller. All-Rounders: Sam Curran, R Ashwin. Bowlers: Hardus Viljoen, M Ashwin, Mohammed Shami. Lokesh Rahul, Darshan Nalkande, Chris Gayle, Ankit Rajpoot, Mayank Agarwal, Moises Henriques, Sarfaraz Khan, Karun Nair, Mandeep Singh, Mujeeb Ur Rahman, Nicholas Pooran(w), Varun Chakravarthy, Sam Curran, Mohammed Shami, Ravichandran Ashwin(c), Simran Singh, Andrew Tye, Hardus Viljoen, Murugan Ashwin, Agnivesh Ayachi, David Miller, Harpreet Brar, Arshdeep Singh. Jos Buttler, Steven Smith, Sanju Samson, Ajinkya Rahane, Shreyas Gopal, Jofra Archer and Dhawal Kulkarni are the key players of Rajasthan Royals Team. Ben Stokes had some fitness issue and if he is unfit then Aston Turner may take up his place. K Gowtham will play as a key all-rounder. Jofra Archer, Shreyas Gopal and Dhawal Kulkarni will lead the bowling department. Jos Buttler and Sanju Samson are the most valuable players of the Rajasthan team. Batsmen: Ajinkya Rahane, Jos Buttler, Steven Smith, Rahul Tripathi, Ashton Turner. Bowlers: Shreyas Gopal, Jofra Archer, Dhawal Kulkarni, Jaydev Unadkat. 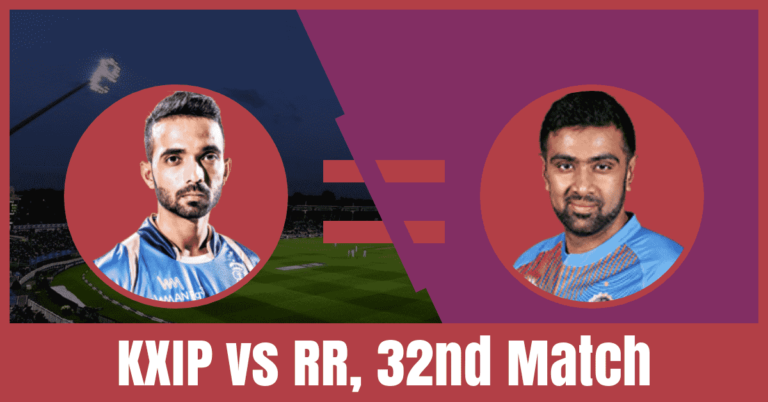 Ajinkya Rahane(c), Jofra Archer, Jos Buttler, Shubham Ranjane, Sanju Samson(w), Ashton Turner, Steven Smith, Manan Vohra, Rahul Tripathi, Krishnappa Gowtham, Liam Livingstone, Mahipal Lomror, Shreyas Gopal, Jaydev Unadkat, Varun Aaron, Dhawal Kulkarni, Stuart Binny, Prashant Chopra, Shashank Singh, Ben Stokes, Ish Sodhi, Aryaman Birla, Oshane Thomas, Riyan Parag, Sudhesan Midhun. The pitch of Punjab Cricket Association IS Bindra Stadium, Mohali is good for batting and it will favour the batsmen. However, the spinners and the seamers can also get some benefit from the wicket if they bowl in the right length. Dream11 Fantasy Cricket Tips: Try to take top order batsmen and spin bowlers in your teams. The weather of Mohali is forecasted to be partly cloudy in the morning and Scattered T-Storms in the evening. Rain may interrupt the match today. The temperature is expected to be 25-Degree Celsius and the humidity to be 61%. Fantasy Cricket Tips: The weather condition may favour the seam bowlers. Sanju Samson: 177 runs in five matches. Chris Gayle: 322 runs in seven games. Mayank Agarwal: 199 runs in seven matches. Ajinkya Rahane: 175 runs in seven games. Jos Buttler: 288 runs in seven matches. Steven Smith: 186 runs in 6 innings. Sam Curran: Seven wickets and 34 runs. Note: Please change your team if required once the playing 11 is out. Note: To win every match, Play in small leagues. According to the crix11 astrology cricket match prediction, Kings XI Punjab will win the 32nd match. According to crix11 astrology prediction, Kings XI Punjab will win the toss and opt bowl first.